Lara Baldesarra is a sports anchor and correspondent for CNN. 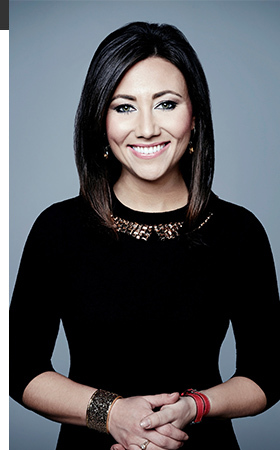 Based at the networks global headquarters in Atlanta, she anchors CNN Internationals flagship sports news program, World Sport, and contributes to sports-related event coverage across all CNN platforms. Prior to joining CNN, Baldesarra worked at the Golf Channel, where she anchored Golf Central and hosted the weekly interview show, Grey Goose 19th Hole. She previously worked at Canadas national sports network, Sportsnet, covering a number of sports including soccer, tennis, rugby, cricket, American football, Formula 1 and boxing. Baldesarra also spent time at Fox Soccer Channel, where she anchored the networks flagship nightly news and highlights show, Fox Soccer Report. Born and raised in Toronto, Baldesarra started her broadcasting career with a variety of roles across television and radio, including providing color commentary and analysis for Canadian Soccer League broadcasts and reporting rinkside for various hockey leagues. Follow Lara on Twitter: @LaraBaldesarra.